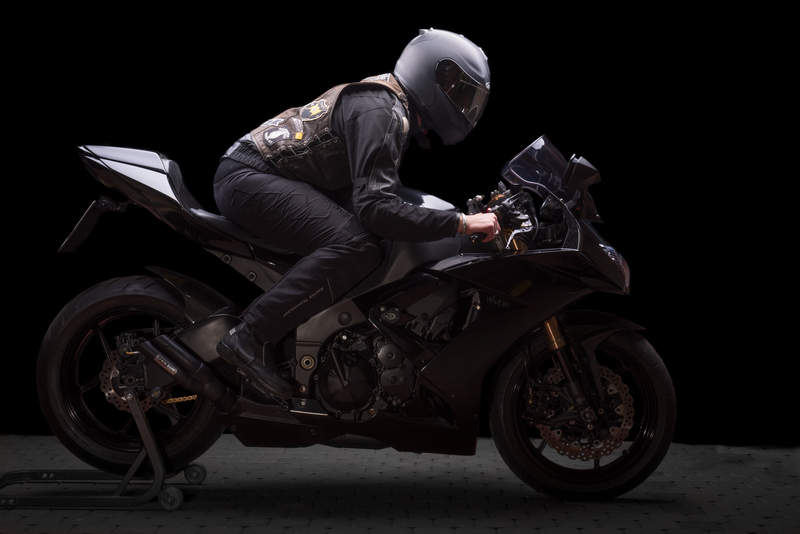 Part 3 of the motorcycle studio shoot series features a real beast of a bike. 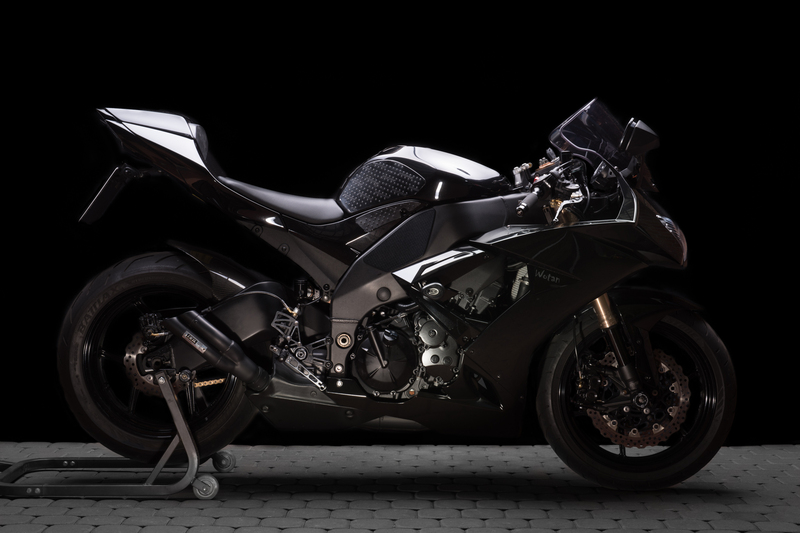 I give you Wotan, the black Kawasaki ZX10R Ninja. 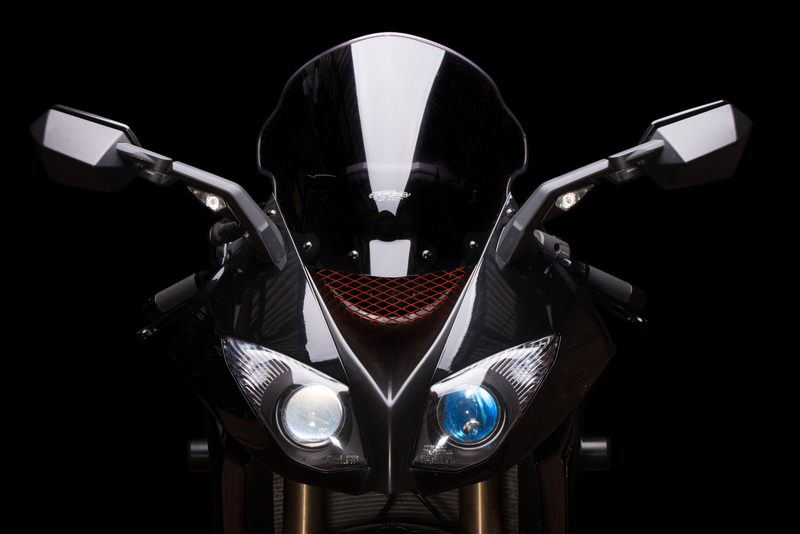 Its 188 HP engine catapults the bike to a max speed of over 300 kph. The model is from 2008 and was heavily modified by its owner. To name a few, it sports an IXEL exhaust pot, aluminium chain system, gear shift assistant, LED turn indicators and some carbon parts. 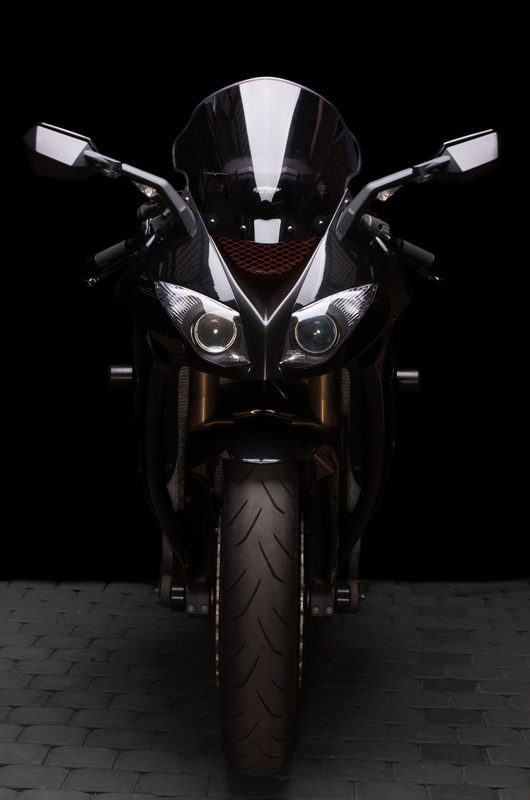 I love the menacing look with the mad eyes of the bike. Wotans owner Michael is totally in love with this machine – and you can guess why. When we shot Wotan the day had already progressed into afternoon and the sun was burning. 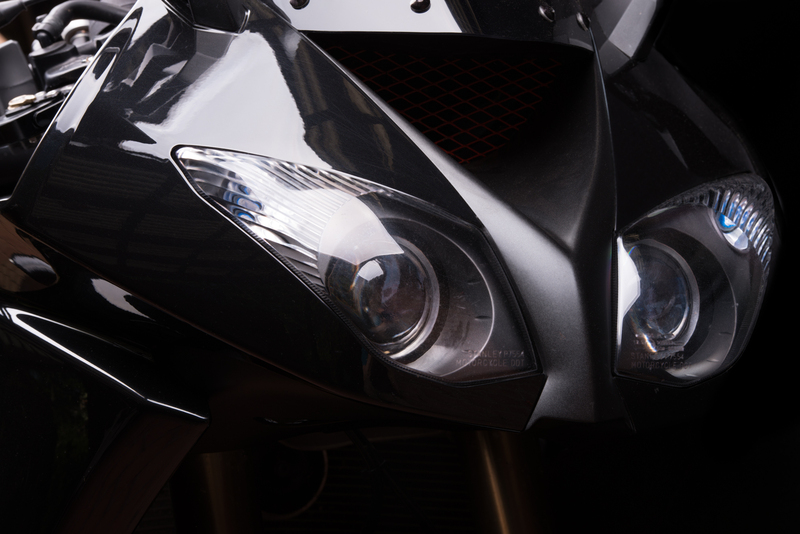 It was too bright to photograph the bike from outside the carport as I had done with Helge’s Honda CB1 400. So we switched positions and moved the backdrop to the other side of the flashes (=to the carport entry). The bike stood in the shade and we could continue shooting. A drawback of this setup were certain spatial restrictions. 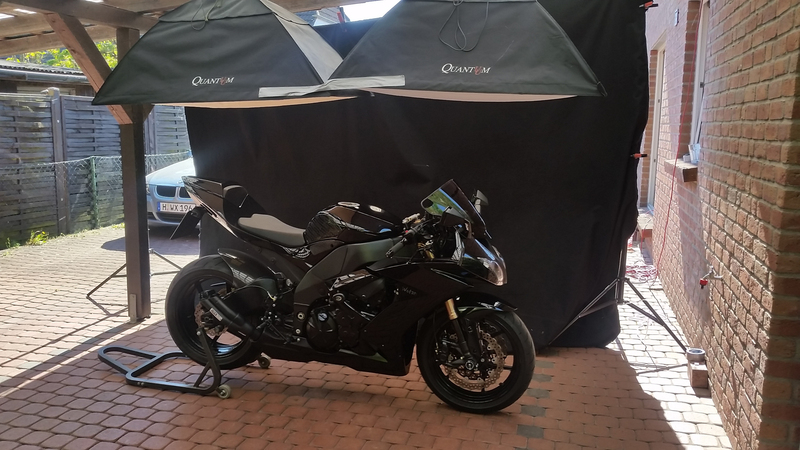 The carport is simply not long enough to provide a stage for the bike, backdrop AND leave enough space between the photographer and its subject. Since the back of the carport faces our toolshed I had to open its door and shoot from inside it. 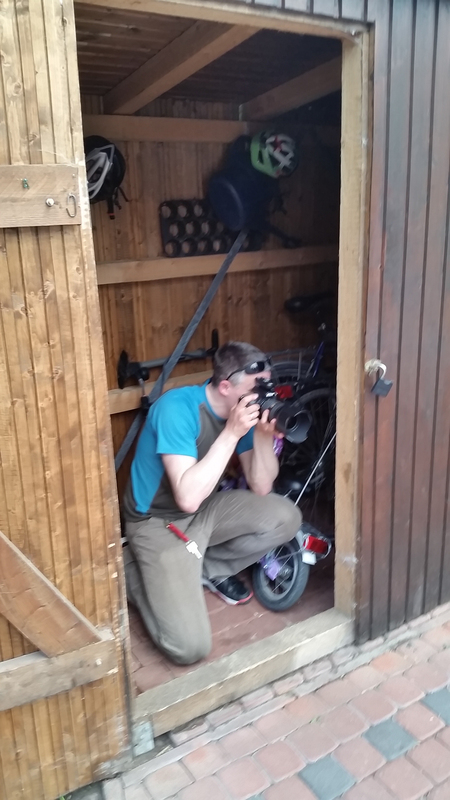 It was funny to crouch beside our lawnmower and my daughter’s purple bike to shoot a 188 hp superbike. I love the details on this bike. 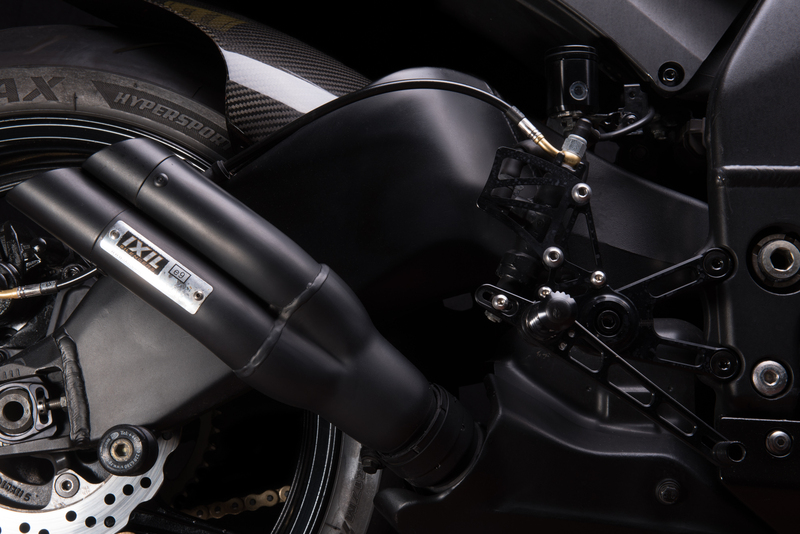 The exhaust system, the filligree levers of the braking system, just beautiful. Note that all these shots are black on black. What makes the details pop is the light from above. 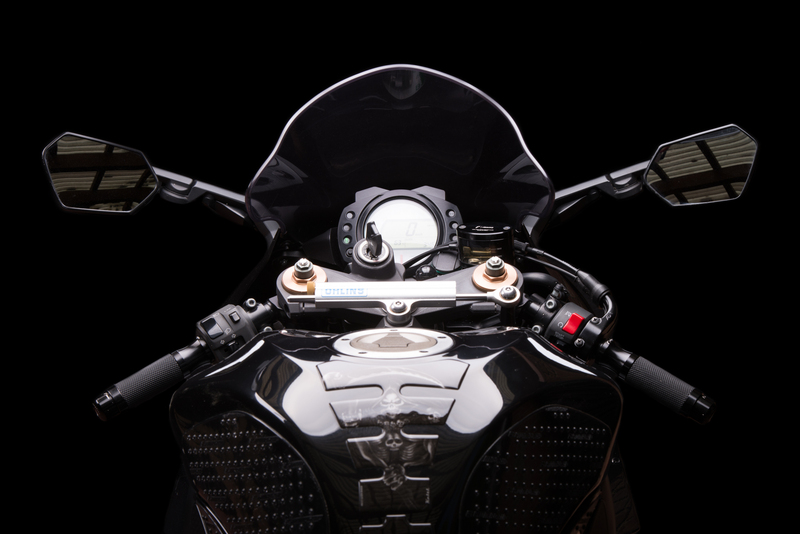 The studio flashes highlight the rim of the components, a handheld flash from offcamera left highlights the exhaust system and rear wheel. While the images are spectacular in their final form, post processing is a painstaking task. The aforementioned spatial restrictions bring with them the problem, that the backdrop is quite close to the bike. And that means, that a lot of light from the studio flashes hits the backdrop. It took me quite a while to paint the background black again in Lightroom and Photoshop. To give you an idea, the image shown below took me between 30 and 40 minutes to complete. Great work again, and a great bike indeed, superb…!! !